No matter their age, all visitors will definitely be impressed by the incomparable scenery around the Grossglockner. The 48 km Grossglockner High Alpine Road follows the contours of the high mountain with all its turns and bends, facilitating a close, direct experience of forests, flowery meadows, rocky heights and the summit region of the Grossglockner, including the largest glacier of the Eastern Alps, the Pasterze. There are four themed playgrounds, several exhibitions and numerous rest stop options along the road. Last but least, the WasserWelten at the nearby Krimml provide excitement and adventure. Start your family trip in the north at the Fusch-Ferleiten road charge point in Salzburg or in the south at Heiligenblut in Carinthia! 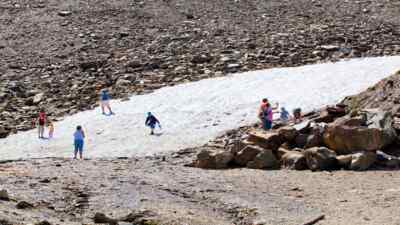 Your children’s age doesn’t matter since there’s so much to discover along the Grossglockner High Alpine Road that boredom just won’t feature. A number of activities cater to youngsters’ need to move about as well as to the exploratory urge of other children. Even teenagers, who can be tough to win over to the idea of a family trip, will gush at the view of the tremendous mountains. Read all tips for a family trip with children now! 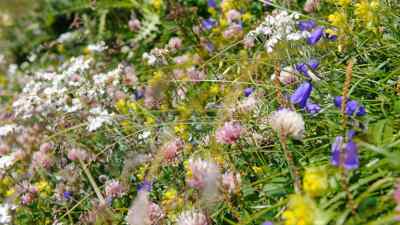 Year after year – this time completely different! Driving to the Grossglockner is equally exciting for new mums as for grandmas. Barrier-free access allows you to enjoy a family trip including pram, walking frame or wheelchair. 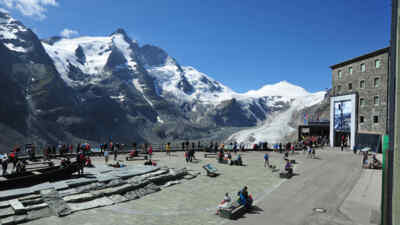 All ages can enjoy the sensational view of the Grossglockner and Pasterze from the Kaiser-Franz-Josefs-Höhe together. Tip: discounts and Mother’s Day promotions! Yes, I’d like to learn more about a Mother’s Day trip to the Grossglockner! The alpine marmot MURMI likes to be around children. It can be found at the four themed playgrounds and invites kids to play and discover. Best observe its living and breathing form at the “Mankei-Wirt” at the Fuscher Lacke and on the Kaiser-Franz-Josefs-Höhe. The MURMI exhibition at the Haus Alpine nature exhibition has many interesting factoids and entertaining information about the cute alpine residents. Get to know MURMI, the mascot of the Grossglockner High Alpine Road, now! 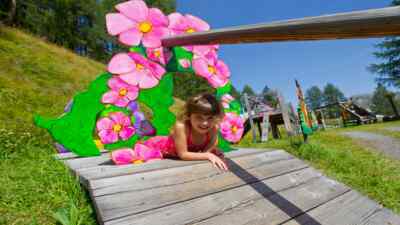 Read everything about the four themed playgrounds along the alpine road! Dozing under a canopy of stars, seeing the blindingly bright moonlight on 3,000 m mountain peaks, experiencing the sunrise in the high mountains: give your family unforgettable moments with a night on the mountain. Choose a rustic mountain hut, a cosy mountain inn or a comfy hotel as you feel inclined and watch the stars together! 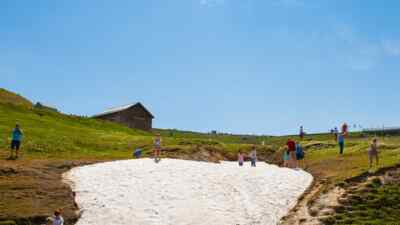 To the accommodation options on the mountain for families! Look forward to an extraordinary natural spectacle and a modern, interactive exhibition with adventure world: the Krimml Waterfalls are only a one-hour drive away from the Fusch-Ferleiten road charge point. They are the highest water cascades in Europe and the fifth-highest in the world. Take an peek look through the webcam of the WasserWelten Krimml! Yes, I’d like to find out more about the WasserWelten Krimml!